[A/N]: Double Update got me like... okay, calm down. Vote if you&apos;re loving these updates! Louis slept for about three hours before he woke up in the middle of the night from a nightmare. A nightmare that included someone taking his pups away. His heart was beating out of his chest, he looked to his right to see his alpha sleeping in one of the beds that the hospital provided for him. He didn&apos;t want to wake him up, but he was just so scared since the nightmare felt way too real. The small omega got out of bed slowly and winced a bit. He made his way outside of the room to try and find his pups. He looked left and right for directions to where his pups might be. Until he took a turn and saw the window where the babies slept. Louis pressed his face a bit to the window to try and find his triplets. When he found them sleeping soundly all next to each other, he smiled warmly and let out a breath of relief. Even though he knew they were fine, he couldn&apos;t bring himself to go back to bed. He just wanted to gaze at how beautiful they all looked. After half an hour, the omega was too tired to stand up from his lack of sleep and from the pain, he felt after the surgery. Suddenly, he felt a hand wrapped around his waist that brought him closer to a familiar scent that he always loved. Harry whispered in his neck, "You&apos;re supposed to be in bed," and placed a soft kiss there. Louis shut his eyes for a brief moment and said, "I just missed them already," then watched as one of the triplets woke up and was looking at them. Louis smiled widely and lightly tapped on the window. The alpha cooed at his precious baby and said, "Maybe he misses you too." 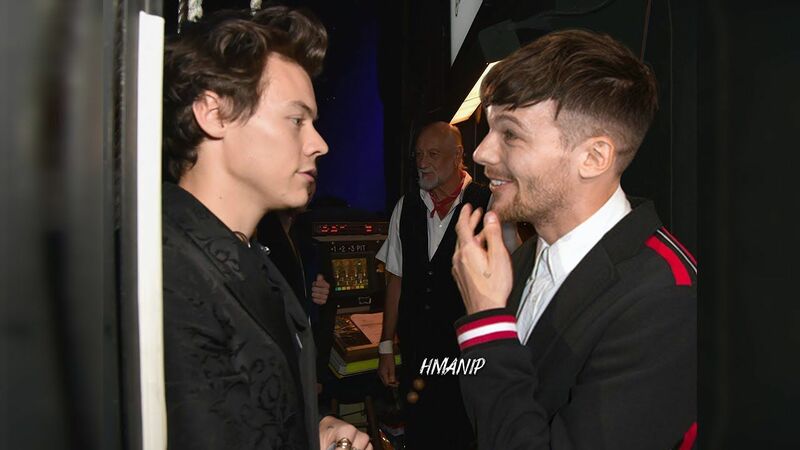 Louis laid his head back onto his alpha&apos;s strong chest and said, "Thank you for figuring out a name for our baby girl," and continued, "I feel like a bad parent for not picking names yet." Harry whispered, "Shh, you&apos;re not," and kissed his hair as they swayed left and right a bit. He added, "We can go back to bed and figure out names in the morning while you&apos;re breastfeeding." The short omega bit his bottom lip as he looked at his baby who was still awake. He looked up at his alpha and said, "Just a few more minutes?" Harry smiled against his soft feathery hair and said, "Anything for you." They stayed there for a while until the omega couldn&apos;t stand any longer. Harry took him back to their room and helped him lay down on his bed. He kissed his forehead and whispered, "Goodnight, my love." Meanwhile, the omega was already fast asleep from being reassured and cared for by his alpha. Harry wanted to cuddle the mother of his pups, but he knew that he would have to wait or else he might hurt him even further. As he watched his beautiful omega sleeping, he soon afterward fell asleep himself. The next day, Louis finished eating his breakfast and asked the nurse for the millionth time, "When are you going to bring me my pups? I ate breakfast and everything." The blonde nurse chuckled and said, "We are just doing some tests to see whether they&apos;re alphas, betas or omegas. They are probably done by now." Harry was looking through some baby names online and said, "Baby, be patient now," and leaned down to peck his lips. The omega leaned back against his pillows and said, "Alright," and continued, "So we figured out our baby girl&apos;s name, Reina, what about our boys?" The alpha sat down at the edge of his omega&apos;s bed while scrolling through the names and said, "I&apos;m looking through them now." Louis sat up a bit and said, "We figured out names before, but I feel like they were too basic." Harry replied, "Maybe not basic but we realized that they don&apos;t really match them." The omega chuckled and said, "You&apos;re right," then added after a while, "So, can I look through the names with you?" The alpha handed his phone over to his omega and said, "I personally didn&apos;t like the first list but maybe you might." Louis looked through the names of the first list and said, "Talk about being basic. I would have thought that they would try and surprise me with something new and unique but," and shrugged as he kept on scrolling. Harry laughed and said, "Maybe the second list wouldn&apos;t be so bad." The omega bit his bottom lip as he thought about it and said, "This website isn&apos;t going to work for me," and changed websites. The door opened to reveal the babies in their hospital bassinet being wheeled over to their mother. Louis immediately handed the phone over to Harry as he softly gasped at the sight of his pups. The lilac-haired nurse chuckled at his reaction and said, "It&apos;s time for their breakfast," and handed Louis two of his babies. The omega cooed at his hungry babies as he unbuttoned his maternal hospital gown and started feeding them carefully. It was difficult at first to try and get them to breastfeed but then omega got the hang of it. He looked at his third baby and whispered, "Is he asleep?" The nurse nodded and said, "Yeah, he probably didn&apos;t sleep much in the middle of the night," and added, "I will be back to retrieve them later if you need anything just click the button next to your bed," and left the room. Louis awed as he watched him sleep for a bit before concentrating on feeding his pups that looked comfortable in his arms. Harry looked over his baby in the bassinet and smiled at how innocent he looked. He held his little fist lightly and rubbed his thumb over the back of his hand. He said, "Love, what do you think of the name Alaric for this little one?" and looked over at this omega as he added, "Or Leif." Louis scrunched his eyebrows together a bit as he thought about it and said, "I don&apos;t know about Leif, but the name Alaric sounds good to me." Harry asked, "So is it going to be Alaric, or should we continue searching?" The omega replied, "We will gather all the good possible names and see where we go from there," as he watched Reina fall asleep in his arms and stopped drinking. He requested, "She fell asleep, can you keep her back in the bassinet?" Harry gently picked her up in his arms and placed her in the bassinet to continue sleeping. 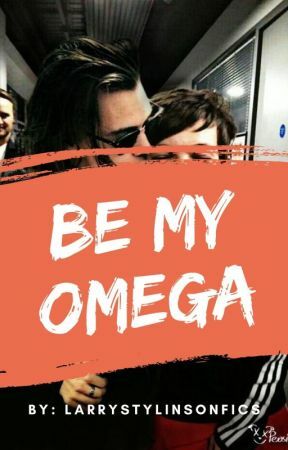 He picked up his baby boy and placed him in his omega&apos;s arms. He asked, "I know he&apos;s asleep, but can you try feeding him?" Louis cooed at his little sleeping baby and tried to make him drink. After a while, he started drinking with his eyes still closed. He looked down at his other baby who fell asleep and stopped drinking, but he didn&apos;t want him to leave his arms just yet. Dr. Jefferson walked into the room and said, "Hello, how are you feeling?" 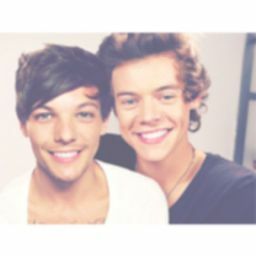 Louis smiled a bit and replied, "Better now that they&apos;re finally here." The doctor smiled back and said, "Well, the results are in and your baby girl is an omega. Your boy is an alpha and your other boy is also an omega just as I predicted last time." Harry chuckled and said, "Thank God you wore your glasses for that one." Dr. Jefferson said, "That was one time that I messed up the genders without my glasses but we&apos;re good now," which made the omega giggle. Niall walked through the room and said, "I am here but not in labor yet."